Terry D. White, Ed.D., entered Grace College as a freshman the fall of 1960 and lived and worked in Winona Lake until 1977. He served in town government, held multiple positions at Grace College and Seminary, was board chair of his local church, and owned a number of local businesses. 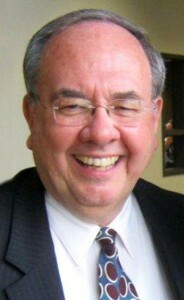 After being employed in Minneapolis and Washington, D.C., he returned in 2003 to re-vitalize and direct the Brethren Missionary Herald Co. and BMH Books. He is married to the former Sharon Auxt, and they are the parents of an adult son and a deceased daughter.